IIT Madras is a public engineering institute that was set up in the year 1959 in Madras through an Act of Parliament. 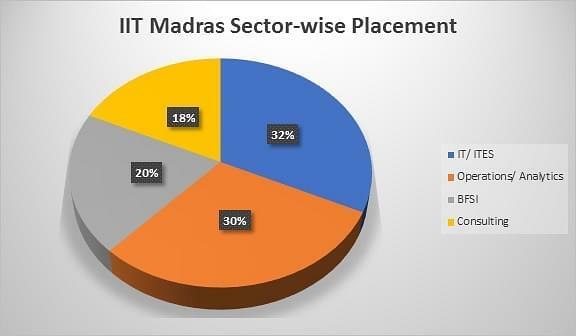 IIT Madras Admissions are entirely based on the marks in National level entrance exams such as IIT JAM, JEE Advanced, CAT etc. 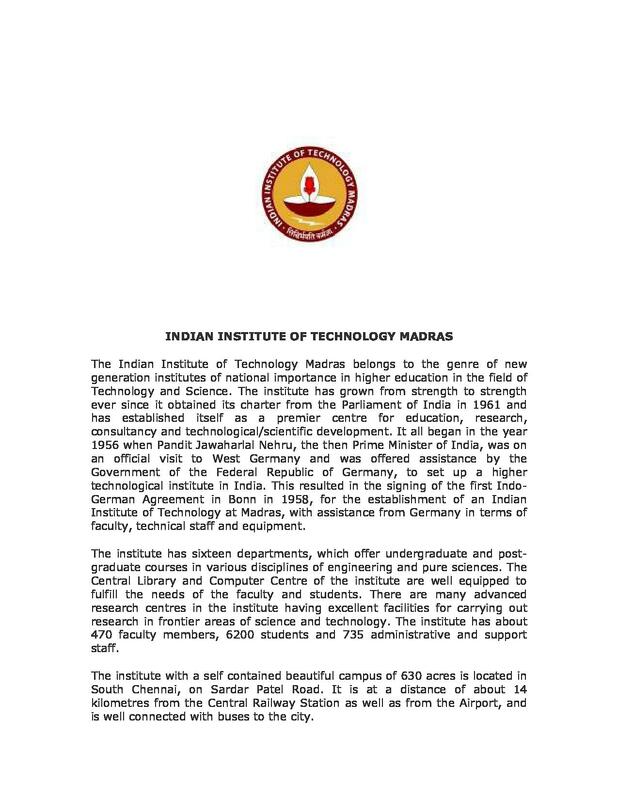 IIT Madras was the third Indian Institute of Technology after IIT Bombay and IIT Kharagpur. The 617.8-Acre campus is one of India’s most prestigious institute to gain recognition as an Institute of National Importance by Government of India. IIT Madras offers Undergraduate, Postgraduate and Research programs in streams like Engineering, Sciences, Humanities, and Management. 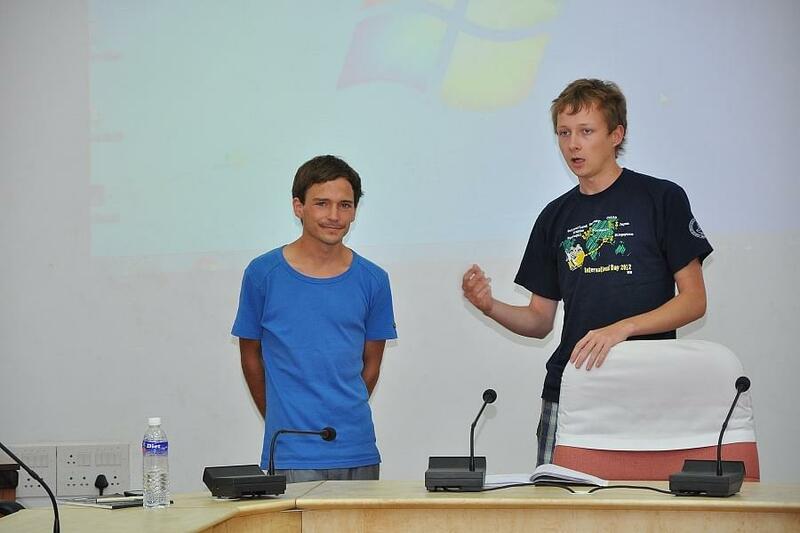 IIT Madras offers a four-year B.Tech course in 10 specializations. The applicant must have passed 10+2 in Science stream with a minimum of 75% marks. The selection to the program will be on the basis of JEE Main and JEE Advanced score. Final selection will be made by JoSAA Counselling committee. 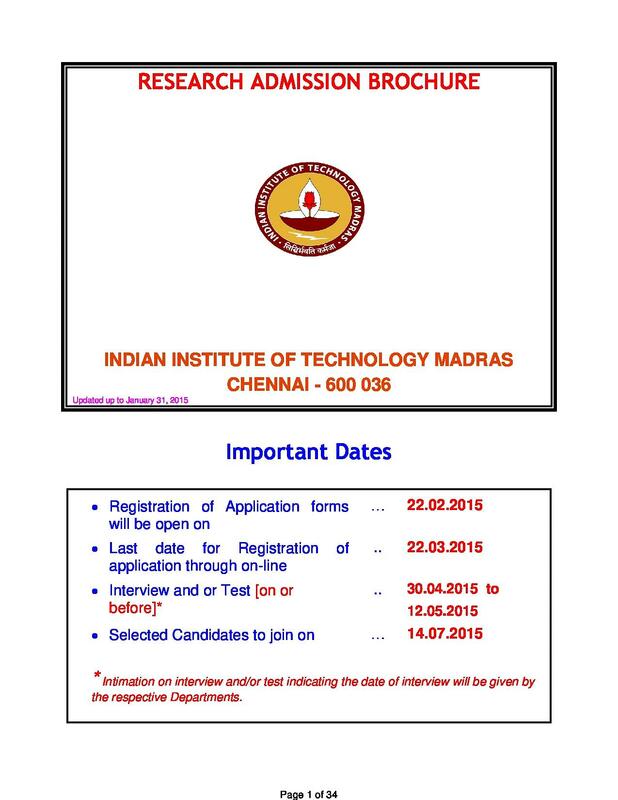 IIT Madras MTech course is offered by IIT Madras in 26 specializations at the Postgraduate level. The criteria to apply is Graduation in a relevant subject (B.E./ B.Tech) with at least 6.5 CGPA (on 10 point scale) or 60% marks from a recognized Institute. Applicants will be selected on the basis of GATE score followed by Counselling. There are three specializations offered under M.Sc. program to the candidates. To apply a candidate must pass hold a Bachelor’s degree in a respective discipline with minimum 55% aggregate marks. Selection will be based on JAM score followed by counseling. The minimum eligibility to apply is Intermediate with 55% marks from a recognized body. Selection will be based on the Humanities and Social Science Entrance Exam (HSEE) score. 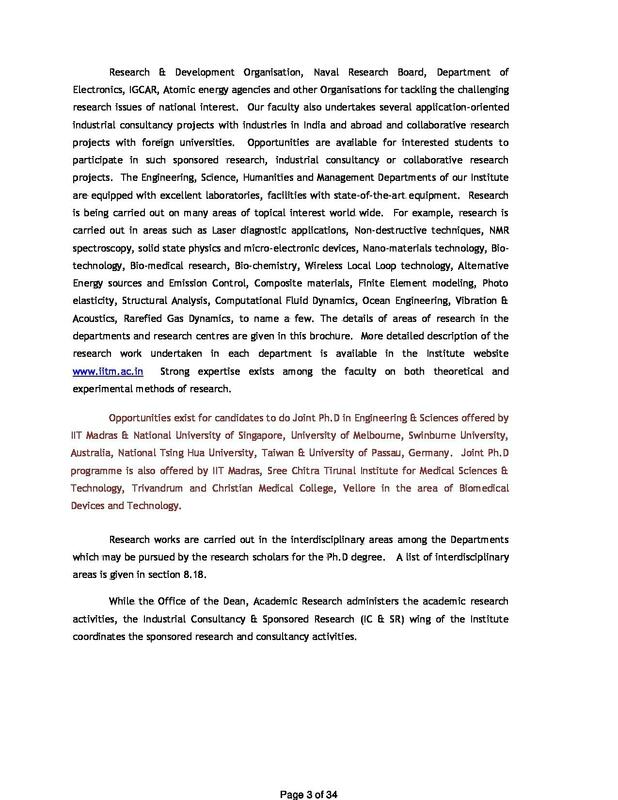 M.S (By Research) program is offered to the candidates in two specializations viz., Engineering and Management. 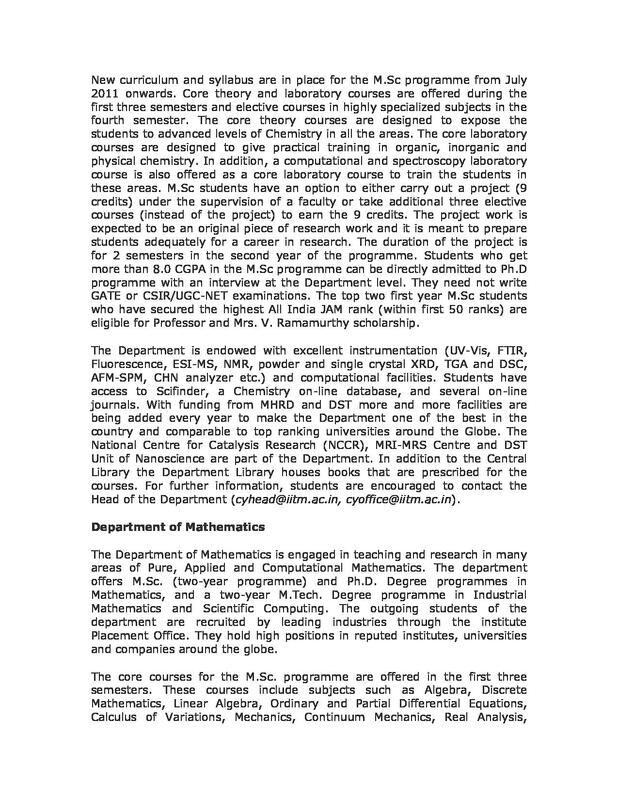 Students applying to this course must hold a B.E./ B.Tech degree and qualify GATE/ CSIR NET/ UGC NET exam. 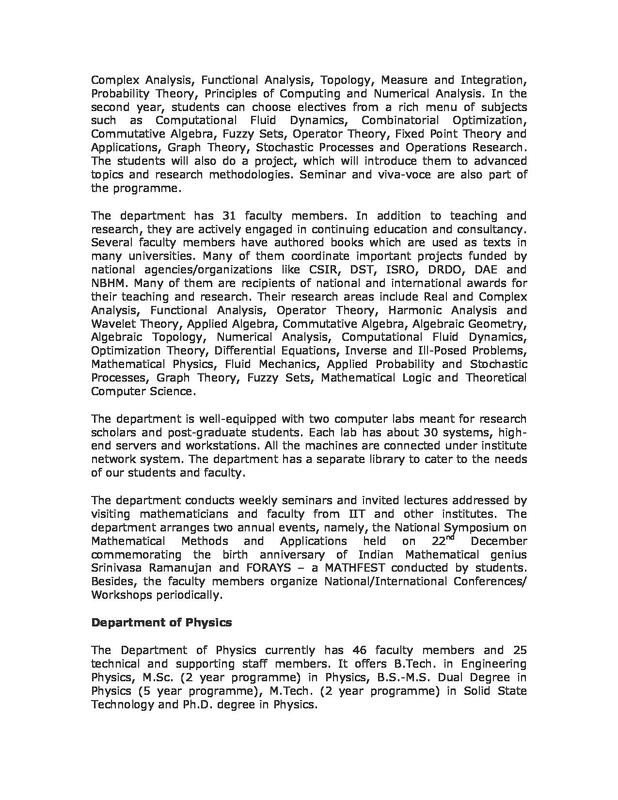 IIT Madras Ph.D. 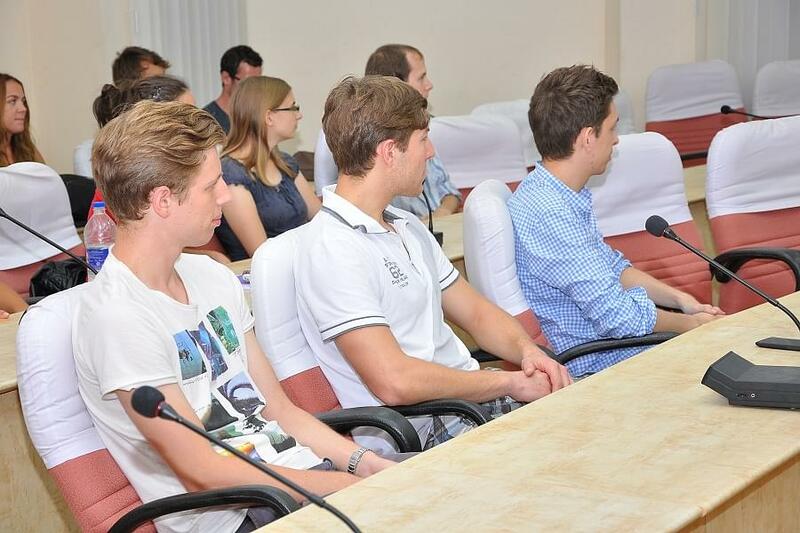 Course is offered to the students in three specializations namely, Engineering, Humanities, and Social Science and Management. 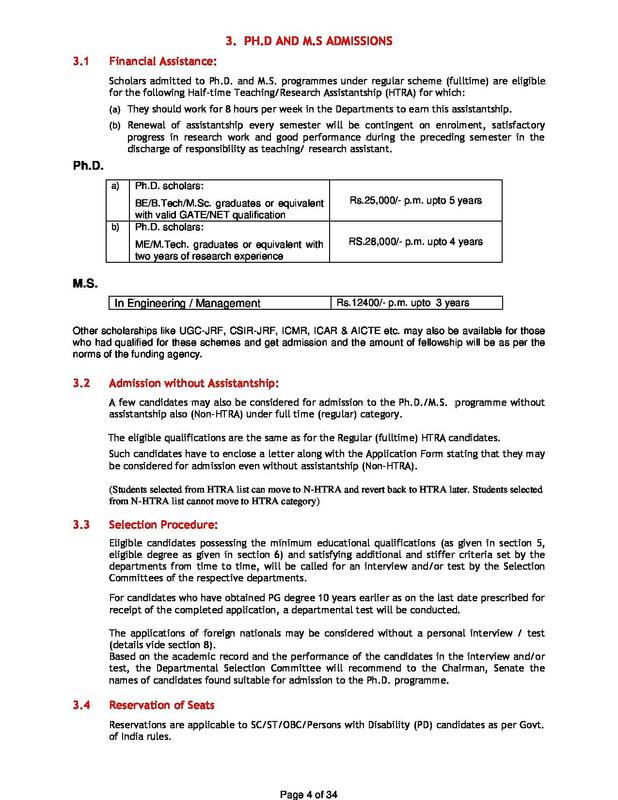 The applicant must hold a Master’s or dual degree in the relevant discipline with the CGPA of 6.5 or above. The applicant will be selected on the basis of their performance in GATE/ UGC NET/ CSIR NET and personal interview. 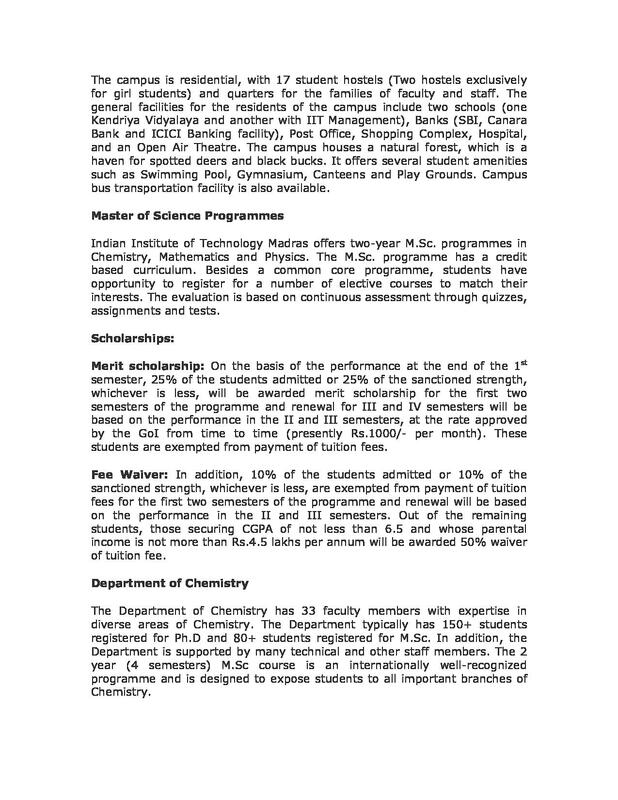 IIT Madras also offers an MBA program to the candidates at the Postgraduate level. 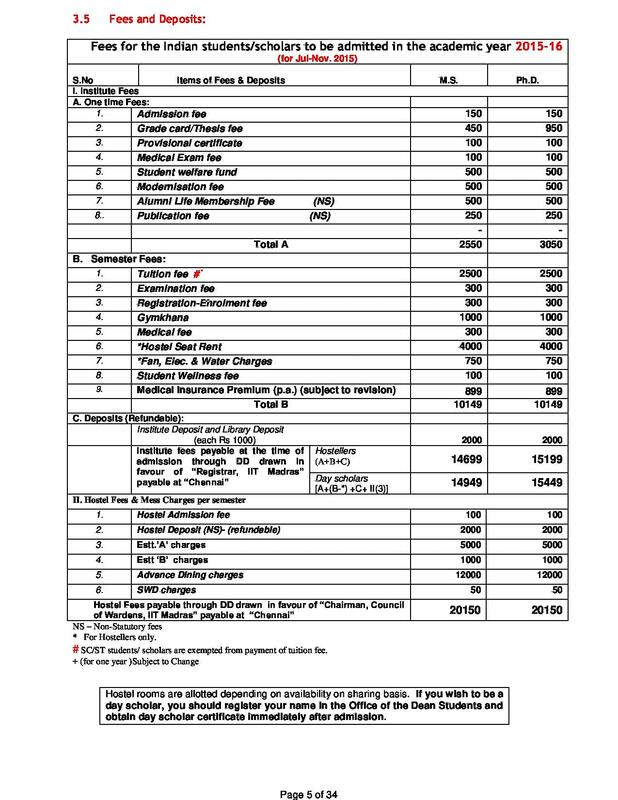 The applicant needs to have a valid score in the Common Admissions Test (CAT) conducted by the Indian Institutes of Management and must be a Graduate in any discipline with minimum 60% marks from a recognized/ reputed University. 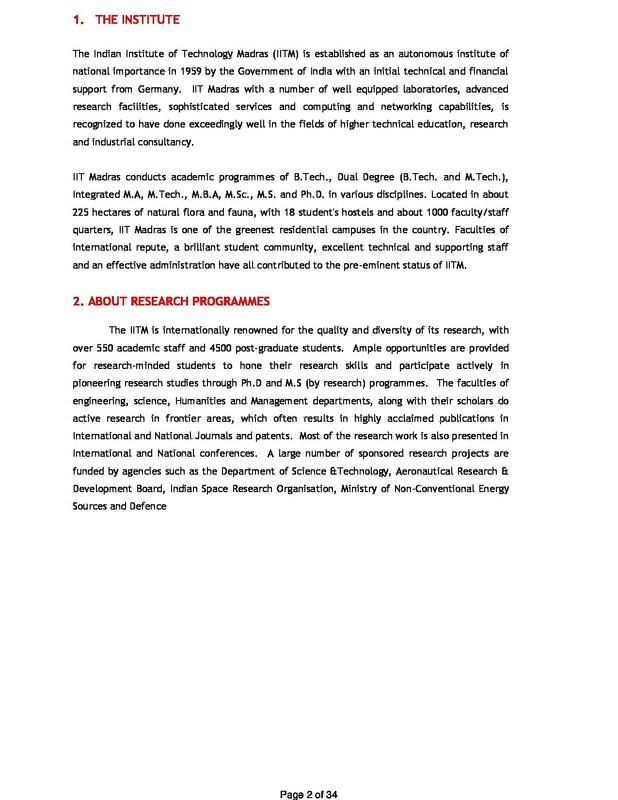 IIT Madras is one of the most reputed institutes for technological education and research in India. 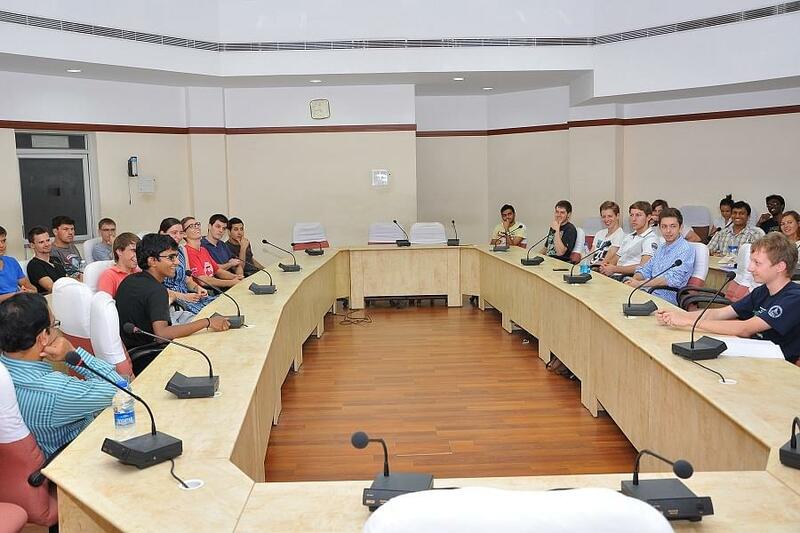 IIT Madras Placement cell is known for its strong relations with the industry. The Institute has always been a favorite destination of recruitment for many firms. Every year it builds a good placement record through the Department of Management Studies. IIT MADRAS gives the platform to think independently but sometimes we may see some suicide cases in IIT MADRAS which make to feel pity but still, the cases are very less when compared to remaining colleges. College management is very high standard and liberal to the welfare of students. The idea to increase intake and avail even best facilities can be there. Campus will provide various ample opportunities to explore you talent. You will be devoloped as overall person once you entered in this institute. hello sir/madam, iam studying in 2 right nw. iam goi to write my public xm. 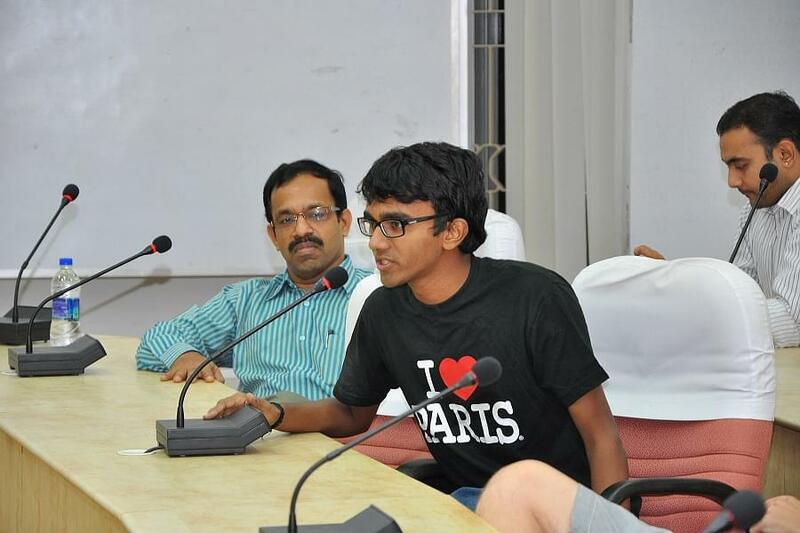 My desire was that i want to joi IIT madras, but im confused that. what are all the procedures that i have to do to get admitted in this institute.. I request you to help me. I am interested in doing integrated course in M.A English in IIT madras in the department of Humanities & Social Sciences and also applied for Humanities & Social Sciences Entrance Exam 2017. my question is should I also need to clear JEE in order to enter into IIT madras. "Nation building by man making"
Graduate aptitude test of engineering (GATE), AIR-182, score-42/100, IIT Madras is top for engineering. I entered here based on my GATE score.I applied online to the institute for few streams of my interest and got selected for mechanical design stream.There were no interviews. "Faculty members are amazing, but even better is the crowd out here"